January is the month the racing world flocks to the racetracks of Florida, making facilities such as Daytona International Speedway, Homestead-Miami Speedway and Sebring International Raceway their homes away from home. 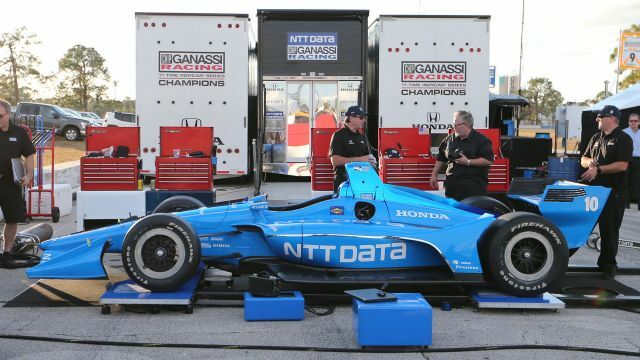 This week the Verizon IndyCar Series opened its preseason testing period for the 2018 season, with Andretti Autosport, Chip Ganassi Racing and Dale Conye Racing taking full advantage by hitting the track in the first available days. Playing host to the three Honda affiliates, Sebring will be a hotbed for IndyCar testing over the next two months as teams prepare for the rugged street circuit at the Firestone Grand Prix of St. Petersburg on March 11. Getting their first chance to run the new 2018 universal aero kit, Andretti Autosport brought each of its full-time drivers to the midweek session. As always with the start of a new season, excitement levels are high between teams, drivers and their crew members. In these times, social media becomes a great place to get an inside look (or at least a taste) of what is going on during the offseason. To mark the occasion, Open-Wheels has compiled the most interesting posts from the past two days in a Sebring testing special. It includes new looks at the cars participating in this week’s test, video of cars on track and more! There has been some great and interesting content posted from the test and we wanted to compile it in one place for the fans. Check out social media round-up from the January 9th and 10th test at Sebring International Raceway. Today's the day!! First official test day with @FollowAndretti in the new @IndyCar here at @sebringraceway.